Hey, using your feet is cool again! Chances are, you know someone in your life who walks to stay healthy, to explore their city, or simply to commune with their neighborhood. 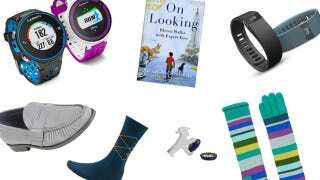 Whether they're commuting on foot, illegally accessing abandoned infrastructure, or simply enjoying a Sunday stroll, here are some gift ideas for the walkers in your life.